Live and work at the Lake! Located in one of Canada’s and Alberta’s strongest economic regions offering ideal access to major Canadian and U.S. marketplaces. Thriving and expanding community with impressive residential growth. 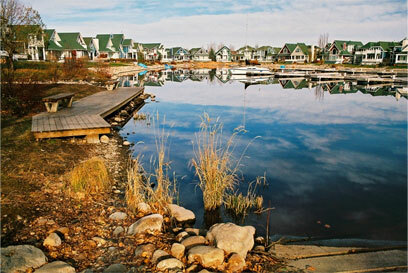 Beautiful environment centered around a “Lake Living Lifestyle”. A small city with a small town feel. population of 14,310 people (2015 Statistics Canada). Home to businesses capitalizing on population growth, building construction, as well as professionals and trades workers serving the gas and oil industry. Easy access to post-secondary universities and colleges within two hour’s drive of Sylvan Lake. Well educated and skilled workforce at competitive wage rates. Quality of life that provides an active and healthy lifestyle that is second to none. Central location and proximity to critical transportation infrastructure that is essential for business development. Situated just 16 kilometres west of the main highway corridor of Alberta and is accessed by a divided highway, David Thompson (Hwy #11). Official population of the Town of Sylvan Lake at 14,484. Sylvan Lake is a young community, with 54% of its population being under the age of 35, and 28% of the population falling between the ages of 35 – 54. The citizens of Sylvan Lake, or “Lakers” as we call ourselves consider themselves lucky to live at the lake. Beautifully situated along water’s edge. In addition to scenic views and accessible lakeshore, it offers plentiful family attractions and activities in every season. Check out a video when the town was buzzing with summer visitors. Make the most of Alberta’s long summer days with Sylvan Lake’s impressive waterslide park and sandy beach volleyball area, on the shores of the pretty, tree-lined lake. For those who want to get out on the water, there’s a marina and water sport rentals for seadoos and paddle boats. This tourism-friendly town offers many ways to get active, from golf courses (mini and premier 18 hole facilities) to go- karts. Stroll the lakeshore, have a swim, then wander up to the boulevard and cool off with an ice cream, or grab lunch and a cold one at a cafe with a lake view. Still feeling lazy? Relax with a lake cruise while the kids enjoy the skateboard park. Summer camps, campgrounds and an aquatic centre are other excellent family summer draws. In winter, ice fishing and cross-country skiing on the lake are cool ways to warm up your winter.